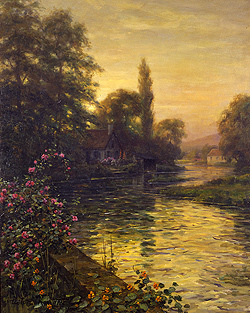 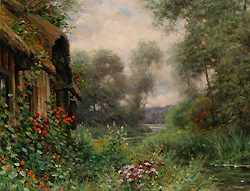 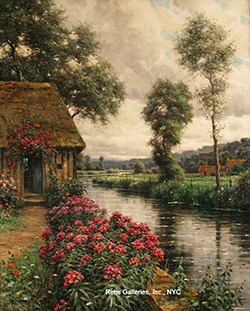 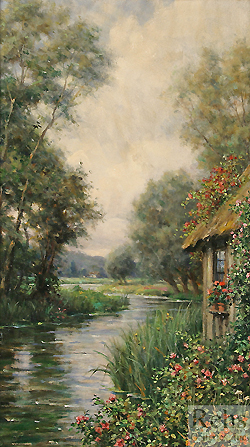 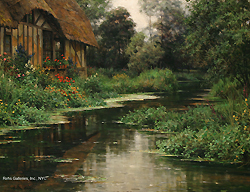 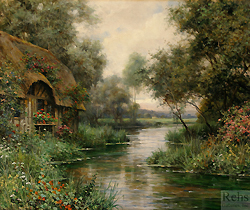 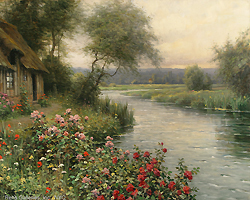 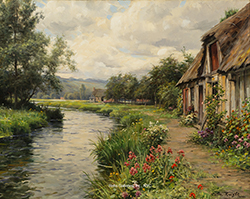 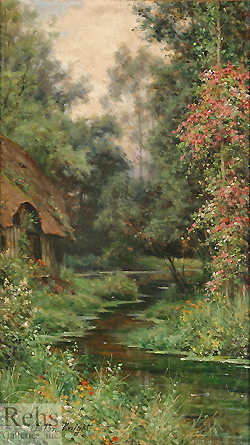 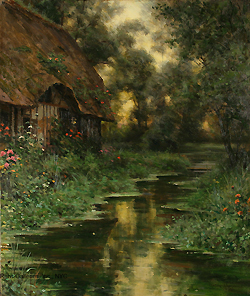 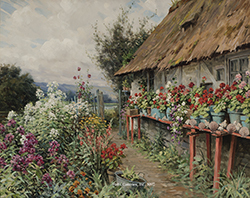 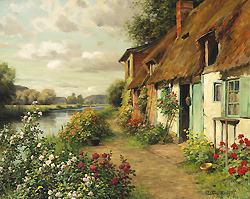 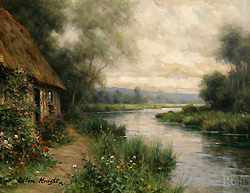 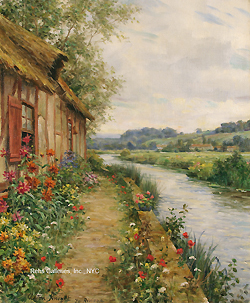 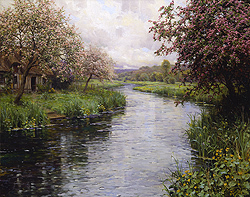 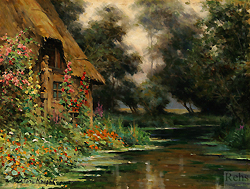 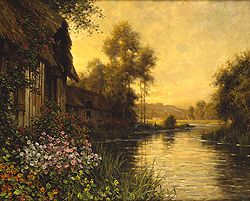 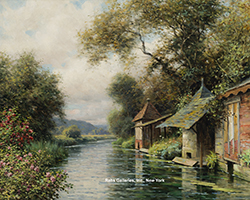 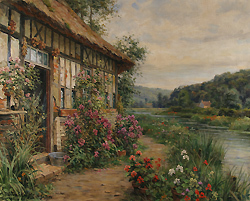 Louis Aston KnightApple Blossoms Louis Aston KnightMaisonette a Cote de Riviere Louis Aston KnightRiverside Farm – South Kortright, N.Y.
Louis Aston Knight, was the son of the American expatriate artist, Daniel Ridgway Knight. 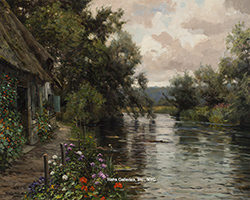 Born in Paris in 1873, Louis, unlike his father, had the privilege to be brought up in a home where he was surrounded by art and music. 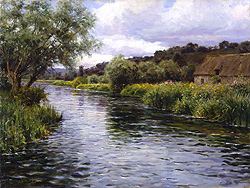 Raised and educated in Europe, Louis attended the Chigwell School in England for his Liberal Arts Education and began his artistic training, under the guidance of his father. 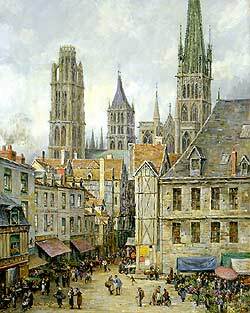 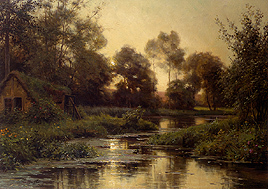 Later he studied formally with the great French Romantic painters, Robert-Fleury and Jules Lefebvre. 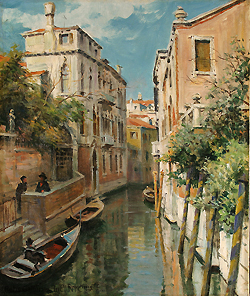 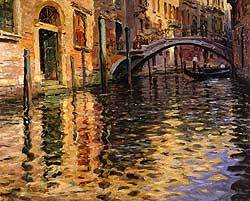 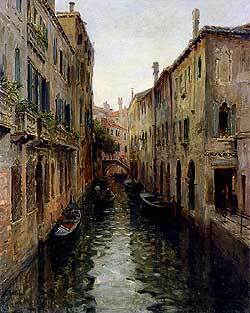 In 1894 Aston Knight debuted at the Paris Salon, starting a highly acclaimed career. 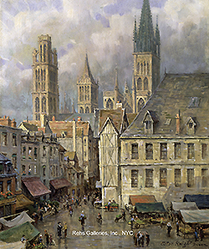 Among his many awards, he won a Bronze medal at the Paris Exposition Universelle in 1900, an honorable mention at the Paris Salon in 1901, a gold medal in Lyon in 1903, a gold medal in Geneva and in Nantes in 1904 and Gold medals at the Paris Salon in both 1905 and 1906, earning him the title Hors concours as the first American to win two gold medals at the Salon in two consecutive years. 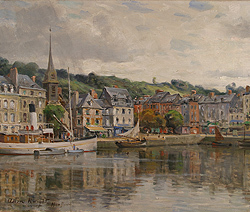 Knight, was also made a Knight of the Legion of Honor in 1924 becoming an Officer in 1928 and eventually a Commander in 1934. 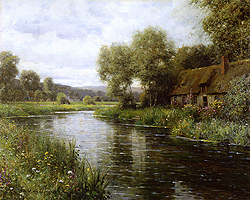 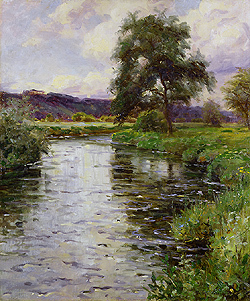 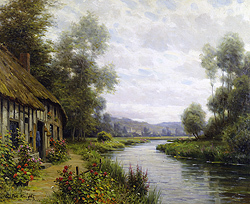 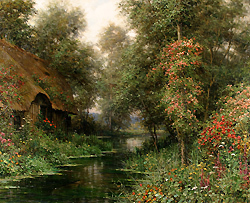 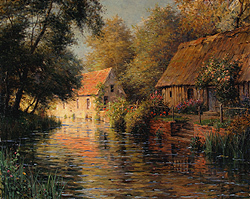 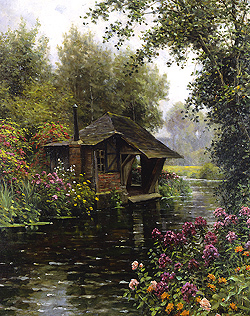 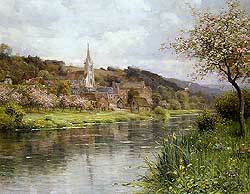 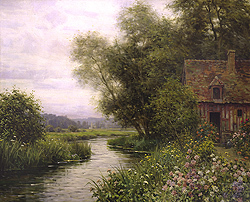 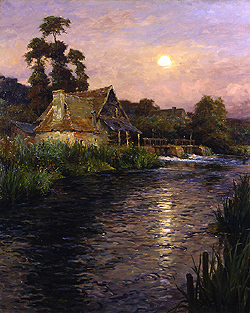 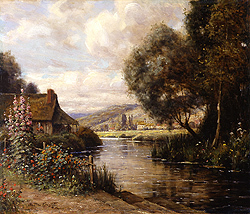 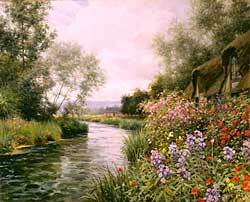 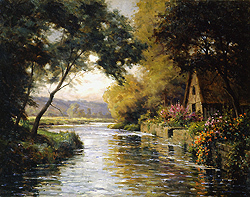 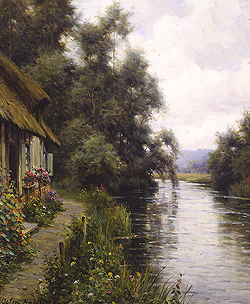 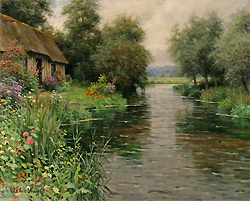 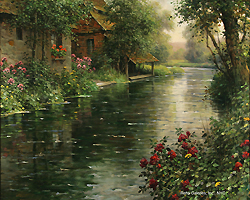 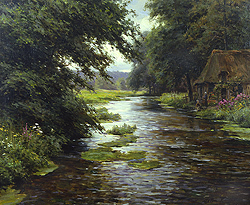 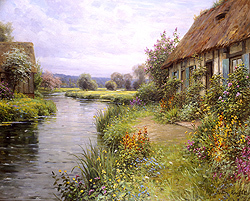 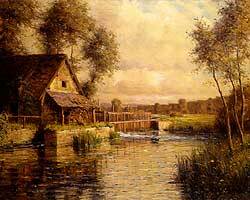 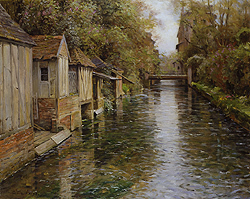 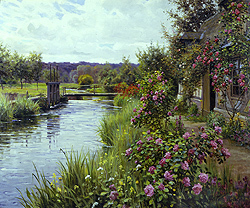 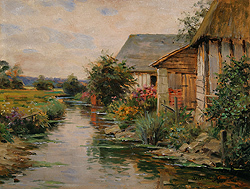 Louis Aston Knight is most famous for his French landscapes executed in and around his home in Beaumont-le-Roger. 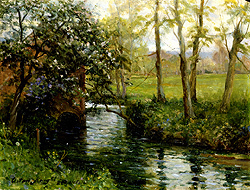 Aston looked up to Claude Monet, and visited him from time to time at his home in Giverny. 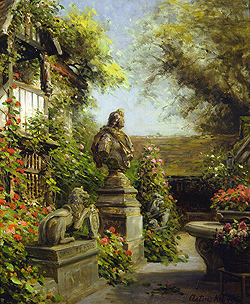 He was particularly impressed with Monet's gardens, and strove to cultivate a garden as beautiful as the master's. 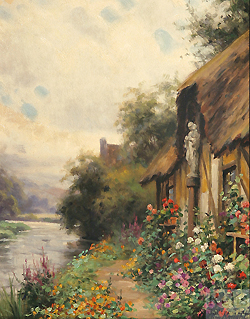 Knight also awarded prizes each year to the neighboring peasants who kept the nicest gardens. 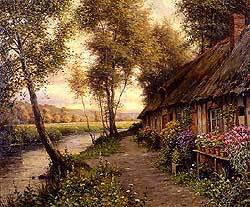 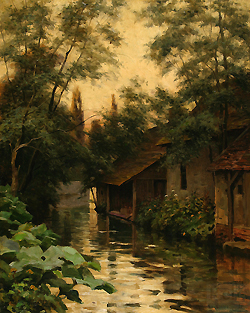 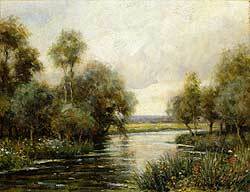 This ensured him of good models for his cottage landscape paintings. 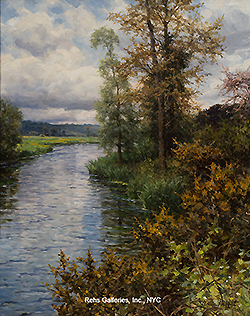 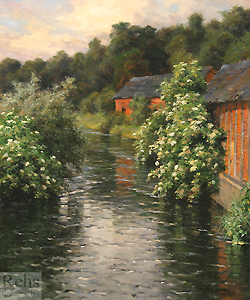 A group of new landscapes by Aston Knight, the popular painter of the Normandy Riverscape, is the Holiday attraction at the Levy Gallery. 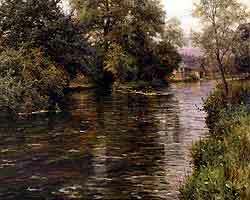 Mr. Knight sticks closely to his well established formula, doubtless due to the tremendous acclaim acquired in his earlier years when Hopkinson Smith publicized him as the "painter in the high rubber boots" for Mr. Knight was not content with studying the action of the Normandy streams from the comfortable banks.... used to [put] on a pair of waist-high rubber boots and setting up his easel in mid-stream, paint the purling waters at first hand. 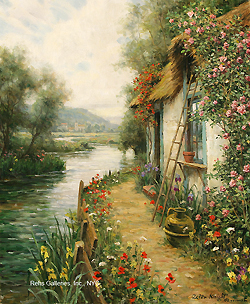 Aston Knight was a favorite of American Presidents in his day. 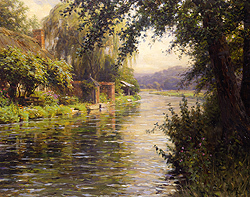 In 1922, President Harding purchased Aston Knight’s painting entitled The Afterglow, to hang in the White House. 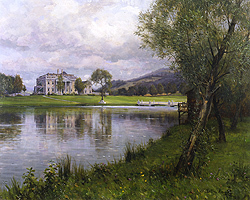 Knight even held a private exhibition at the White House for President Coolidge during his Presidency. 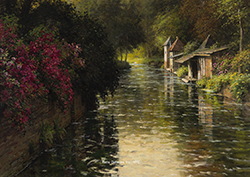 Many of his works have had international acclaim and are housed in the art collections throughout the world, including: the Luxembourg Museum; Musee des Colonies, Paris; the Museum of Fine Arts, Toledo, Ohio and the Delgado Museum, New Orleans. 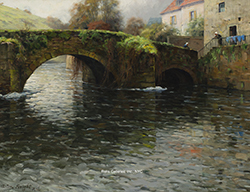 John Levy Galleries, N.Y., Nov. 24 – Dec. 6, n.d.